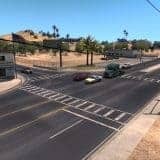 Over two weeks have passed since the release of the New Mexico map expansion for American Truck Simulator. We’re really happy that the new map expansion has been accepted very positively by the fan community. There was 25 man-years of hard work invested into the creation of the New Mexico DLC, but of course, we hear you that you want and expect more from us and faster. Our ambition for the upcoming year is to keep on growing the teams for both of our truck sims and finally make the transition to multiple map DLCs under development in parallel. 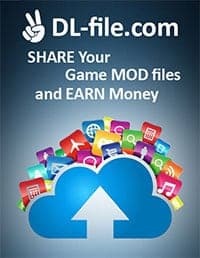 This is going to be a whole new level in studio and team management, with massive content creation efforts running hand in hand with technology evolution and changes in toolchain and the game engine. 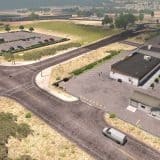 A ton of great videos, let’s plays, and reviews of New Mexico DLC have appeared on sites like YouTube or Twitch. We thought that several of them deserve a mention here. In case you haven’t yet completed our current World of Trucks event, worry not, you still have about 6 days left to do so, and grab a collectible reward. The event will end December 3rd, 2017. With Christmas approaching fast, we have more pleasant surprises in store for you! 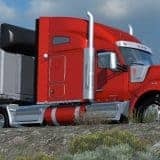 Previous mod New Mexico DLC arrives alongside ATS update 1.29!